The wonderful world of film photography has always inspired us. We've had the utmost pleasure of shooting with these beautiful machines for several years now. Below is a short list and some examples of what we are currently shooting, and some we've regretfully moved on from. Click the Learn More button to see photos. The Pentax 67 is my favorite. This is by far the best portrait camera/lens setup I've ever used. The sharpness and detail combined with the incredible bokeh is what makes this beauty stand out. She is built like a tank, provides consistent results, and invokes conversations wherever she goes. The Texas Leica. The largest medium format negatives one can produce. The 6x9 format lends itself perfectly for landscapes. But buyer beware. This thing will rip through film quickly. With only 8 shots per roll (120), one must choose wisely before snapping a shot. This camera requires patience, but the end results are phenomenal. Don't let the plastic exterior fool you either. These things were built to last. The one camera to rule them all. 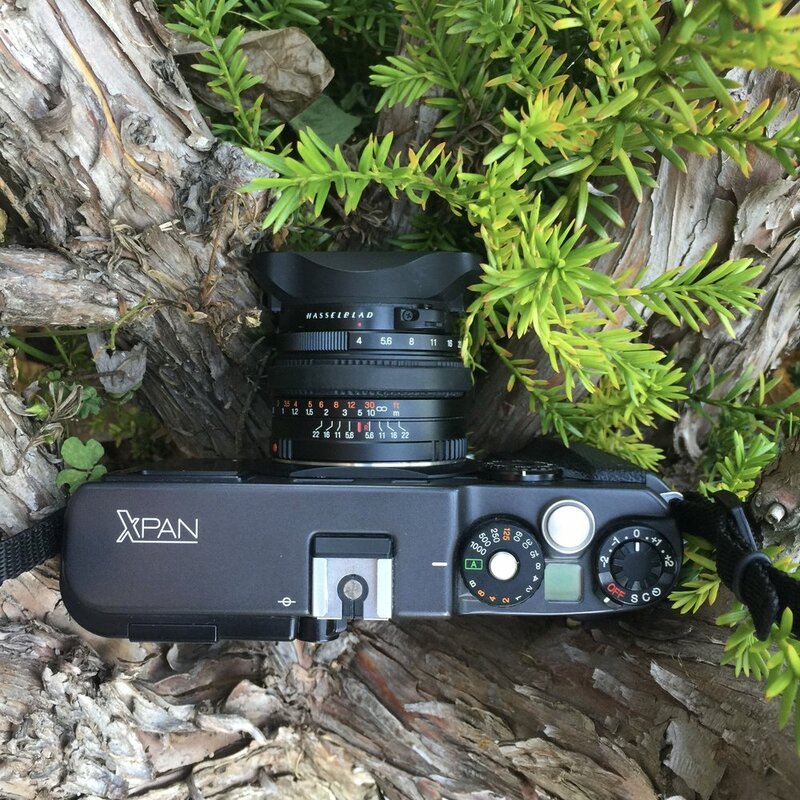 The Xpan is the one camera I gave up my Leica to get. The option to move from pano to standard 35mm with flip of a switch is a neat trick. But the true beauty of this camera is the unlimited amount of creativity it unleashes. The full expanse of the world opens up and the creative juices start flowing. This is my daily shooter.